The term ‘Multi-species ethnography’ represents a new field of anthropology that takes seriously the lives and points of view of other-than-humans, whose lives are caught up in complex relations with human lives, politics, economies and cultures. As Eduardo Kohn writes on “the anthropology of life”, this is a mode of anthropology that exceeds a singular focus on human life, instead concerning itself “with the effects of our entanglements with other kinds of living selves” (2007:4). In this piece by Kirksey and Helmreich (2010) the reader is carefully introduced to these conjoined worlds and invited to consider how culture in the Anthropocene unfolds in our “mutual ecologies and coproduced niches” (546) with a diverse set of living things, be they mushrooms (Tsing 2015), meerkats (Candea 2010) forests (Kohn), marine microbes (Helmreich), plants (Hayden 2003; Archambault 2016), or the microorganisms that enliven our cheese (Paxson). Much of this work – and more – has been collected at The Multispecies Salon. Archambault, Julie Soleil. 2016. Taking Love Seriously in Human-Plant Relations in Mozambique: Toward and Anthropology of Affective Encounters. 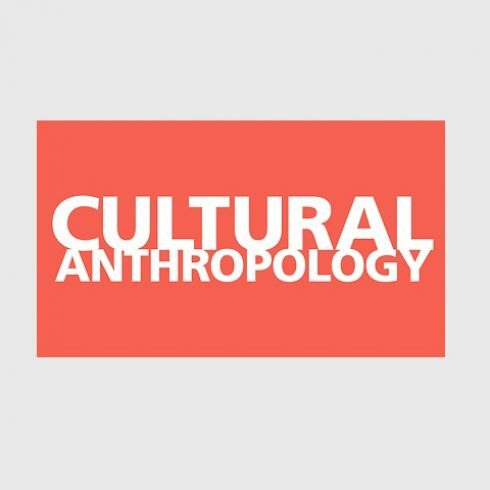 Cultural Anthropology, 31(2):244-271. Candea, Matei. 2010. “I Fell in Love with Carlos the Meerkat”: Engagement and Detachment in Human-Animal Relations. American Ethnologist, 37(2):241-258. Hayden, Cori. 2003. When Nature Goes Public: The Making and Unmaking of Bioprospecting in Mexico. Princeton: Princeton University Press. Helmreich, Stefan. 2009. Alien Ocean: Anthropological Voyages in Microbial Seas. Berkeley: University of California Press. Kohn, Eduardo. 2007. How Dogs Dream: Amazonian Natures and the Politics of Transspecies Engagement. American Ethnologist, 34(1):3-24. Paxson, Heather. 2008. Post Pasteurian Cultures: The microbiopolitics of Raw-Milk Cheese in the United States. Cultural Anthropology, 23(1):15-47. Tsing, Anna Lowenhaupt. 2015. The Mushroom at the End of the World: On the Possibility of Life in Capitalist Ruins. Princeton: Princeton University Press. Susan Whyte, Sjaak Van der Geest et al. Antibiotics, poultry, and livelihoods: Conjoined Worlds in Medium-Scale Urban Livestock Keeping. Welcome to the AMIS Hub! The story of ‘How do we get patients to stop demanding antibiotics?' to where we are now. Are you a social scientist who is working in antimicrobial resistance (AMR)? Explore the research themes that provide the foundation for our work. How do antimicrobials shape care for people, animals and plants? How do we make AMR Policy? Antimicrobial use is shaped by the contexts within which they are prescribed, sold and traded. AMR requires us to consider how human life is entangled with microbial life, animal life, plant life, and the environment.